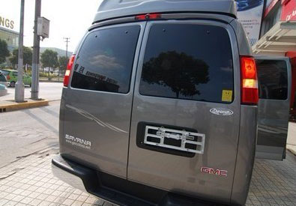 The MOSS-GMC01 Third brake light backup camera is a special part that fits only GM vans such as the Savanna and the 3500. 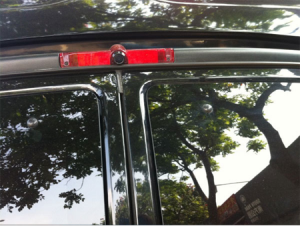 The result is a perfect installation using existing mounting holes on the vehicle. Cables can be routed the same way as the existing brake lights. The placement of the camera is optimal for reverse camera installations as the top-center view makes for excellent visibility.